Yesterday night my boyfriend showed me an incredible video about a sand animation. I decided to do some research on the artist and discovered #Kseniya #Simonova (@kseniyasimonova) This lady is the 2009 winner of the TV contest Ukraine’s Got Talent. She is a performance artist in sand animation and a philanthropist. I think her work is incredible and very original! Sand performance was suggested by her husband. Initially, Simonova was unsure, but she decided to try it in the absence of other viable options to improve their financial situation. When tests with beach and river sands proved both unsuitable, Simonova’s husband began researching better options on the internet. He sold his printing equipment to buy 3 kilograms of expensive volcanic sand. It is a two-person exhibition curated by Roger Gastman, featuring new works by Chicago-based artist Pose and Detroit-based artist Revok. In conjunction with their first show in New York, the artists also collaborated on a large-scale mural on the famed Goldman Properties wall located on Houston and Bowery streets, in lower Manhattan. 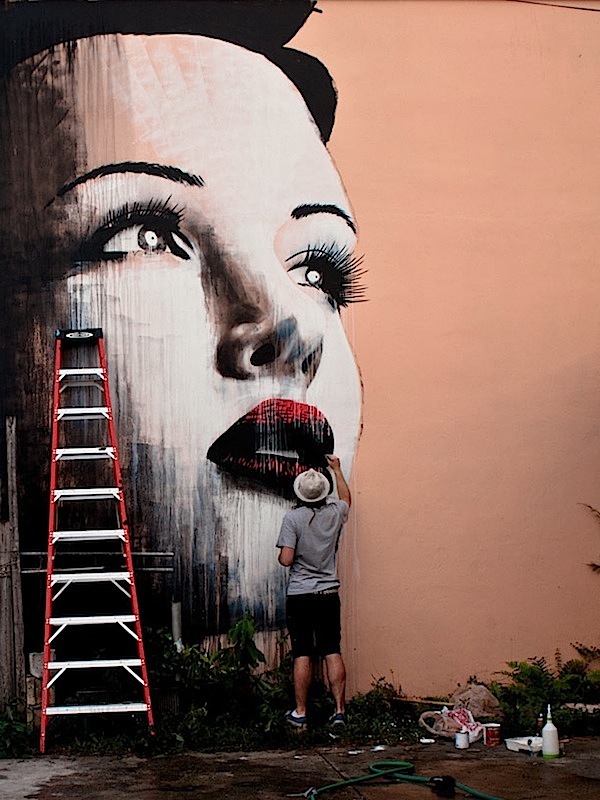 Although style, medium and techniques vary between the two artists, their work is strongly connected from a conceptual standpoint. Pose’s works reference disparate sources—pop and comic art, skateboard and advertising graphics, collage, sign painting and graffiti. Painting portraits of the human condition, he re-appropriates the visual language of the street and overwhelming experience of consumer culture to convey a broad spectrum of emotions—pain, triumph, joy, fear, love and loss. His fragmented imagery is intended to disarm pretense, making the work universally accessible and open to interpretation. Revok creates abstract geometric panels with vibrant colors and striking patterns using found materials sourced from abandoned homes, schools, businesses and churches—sampling bits and pieces of people’s lives, hopes, dreams and aspirations—reinterpreted through rich layers of history, decay and age-worn patina. This new video by Sam Lipman-Stern catches up with the two artists as they explain the similarities in their creative process and their inspiration for this exhibition. POW! WOW! HAWAII 2013 from POW! WOW! Hawaii on Vimeo. POW! WOW! Hawaii is considered by some to be the island’s largest and most expansive gathering of cultural minds. The event which has taken over the once sleepy area of Kaka’ako in Honolulu has welcomed approximately 100 artists to the area in a widespread beautification and education on the world of street art and the process of creativity. Originally founded several years back in Hong Kong, POW! WOW! was brought to Hawaii in hopes of offering a more hands-on approach to exploring art and engaging the community. This year’s artists include Faith47, DAL, Dabs Myla, Askew, Mark Bode, 123KLAN, Rone, Meggs, Yoskay Yamamoto, SLICK, Woes Martin, Roid, Shark Toof, Jeff Soto, Hannah Stouffer, Apex, Poesia and many more. Aside from a local and global roster of artists each plying their trade diligently around the area, several educational initiatives and events have also been put in place including live panel discussions, free art and music schools for the youth, musical events as well as the culmination of the eight day event through a massive block party. 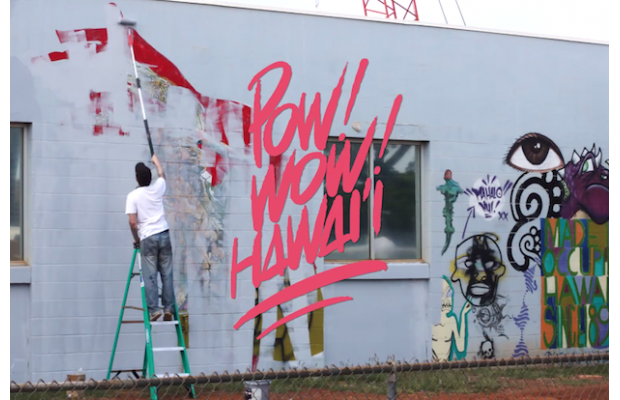 Rone X Wonder – Kaka’ako from Everfresh Studio on Vimeo. #Rone is one of the most iconic #graffiti #artists of Australia, his work hides under many overpasses throughout the city of Melbourne. Instagram is an incredible resource for all kinds of images. Thomas Jullien wanted to create structure out of this chaos. The result is a crowd source short-film that shows the endless possibilities of social media.